Learn grooming skills through the Pet Grooming Certificate - at home, at your own pace - with Penn Foster Career School International. Get this training affordably, quickly, and conveniently. And you'll learn it all at home — no classroom needed. 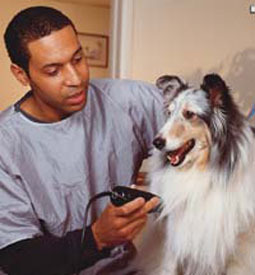 In as little as seven months from enrollment, you can learn the skills of pet grooming.